Tottenham manager Mauricio Pochettino was especially pleased with the character and fighting spirit his side displayed in the 3-1 win over Leicester. 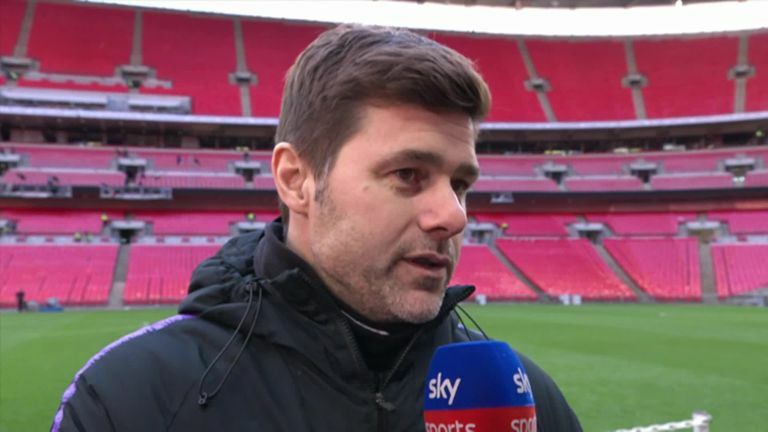 Mauricio Pochettino feels Tottenham are still in the Premier League title race after beating Leicester to close the gap on Liverpool and Manchester City. Spurs' 3-1 victory over Claude Puel's side on Super Sunday means the north London club are five points off the top of the table and nine clear of Manchester United in fourth. 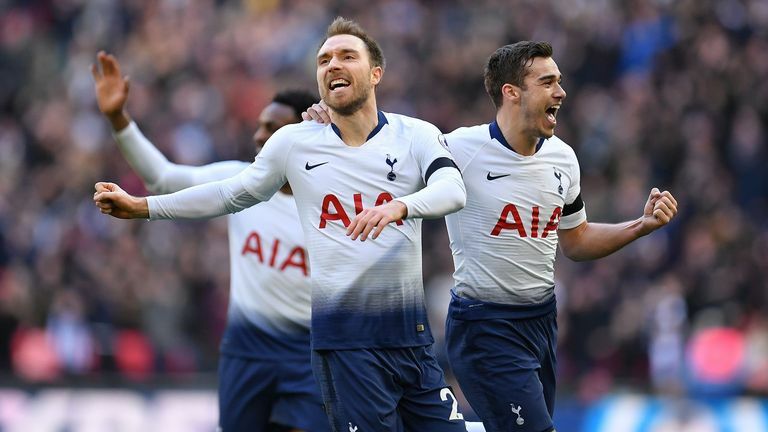 Davinson Sanchez, Christian Eriksen and Heung-Min Son were all on target in a display which pleased Pochettino, and he believes his side are still in the hunt for the title. He said: "It's a good time with the circumstances [to win]. I think my players are heroes. I repeat because our effort was amazing. "Again we are there, we are fighting and showing great character. Like this afternoon it maybe wasn't our best performance, and it's impossible during 10 minutes to be at the same level, but we're still in it." Son was booked for simulation in the first half after going down in the box under a challenge from Harry Maguire but Pochettino insists the South Korea international did not dive and was "unlucky" to pick up a card. He added: "It wasn't simulation first of all. It was a little bit unlucky. "During the game the referee was good but we didn't have luck in that situation because that was a clear penalty. "Son, when he scored the third goal, he showed how he is with his character, personality and capacity to run more than 90 minutes. "It was a fantastic effort from him, great quality finishing and I was so happy for him because it was the key moment to feel a big relief after the whole game."